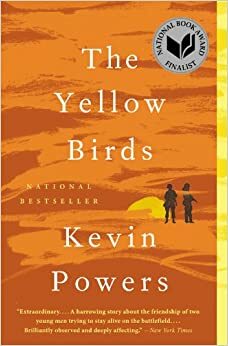 The Yellow Birds by Kevin Powers is the best book I have read in a while. It's intense but a fast read, and so well-written that you will love it. The non-linear narrative is takes place from 2003 to 2009, in Virginia, Germany, and Iraq, from a young private's enlistment to fighting in the Iraq War to his painful return to "normal" life afterwards. The story is sad and beautiful and painfully real all at once. While heart-wrenching is a generally overused adjective, in this case it is totally applicable. Powers writes with rhythmic concision, making me want to read some sentences out loud to get the full effect -- "The world was paper-thin as far as I could tell. And the world was the orchard, and the orchard was what came next. But none of that was true. I was only afraid of dying." It's not pretty, how war transforms the characters, but it feels true. And his descriptions of the battlefield and his emotions throughout it all make you feel like you're there. “Or should I have said that I wanted to die, not in the sense of wanting to throw myself off of that train bridge over there, but more like wanting to be asleep forever because there isn’t any making up for killing women or even watching women get killed, or for that matter killing men and shooting them in the back and shooting them more times than necessary to actually kill them and it was like just trying to kill everything you saw sometimes because it felt like there was acid seeping down into your soul and then your soul is gone and knowing from being taught your whole life that there is no making up for what you are doing, you’re taught that your whole life, but then even your mother is so happy and proud because you lined up your sign posts and made people crumple and they were not getting up ever and yeah they might have been trying to kill you too, so you say, What are you goona do?, but really it doesn’t matter because by the end you failed at the one good thing you could have done, and the one person you promised would live is dead..."
The author served with the U.S. Army in Mosul and Tal Afar, Iraq in 2004 and 2005 and The Yellow Birds is his first novel. The book took him four years to write, and Powers says that it started as "an attempt to reckon with one question: what was it like over there?" But he quickly decided that he was unequal to that task, because "war is only like itself". This is the only war book I've read, so I don't know how it compares to others in its genre. Some reviews compare it to All Quiet on the Western Front or The Red Badge of Courage. 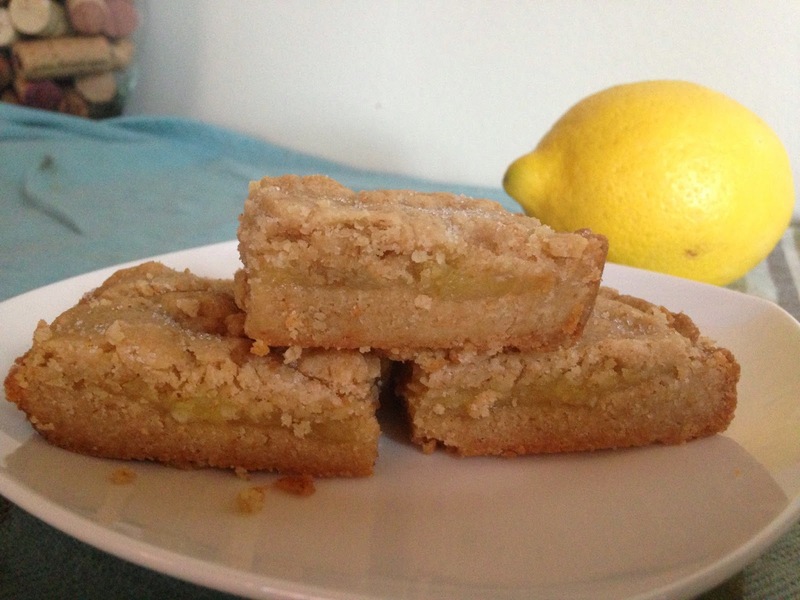 Lemon bars are one of my favorite summer desserts. The only downside is that if you try to take them places in Tupperware they tend to melt into a sticky mess. So these bars seek to solve that—thanks to their more solid cookie crust, they’re a more easily transportable twist on the usual recipe. I made them with homemade lemon curd, which is pretty much substance of the gods that I want to eat on a spoon always. Plus the coconut oil in the crust gives them a special hint of extra richness and flavor. And for the record, I’m officially obsessed with coconut oil. The many uses of this magical substance have been well-documented, so no need to get into them here—let’s just cut to the chase and talk about its utility as a baking ingredient. I haven’t thoroughly experimented with coconut oil as a straight substitute for butter, but apparently it can be used as your oil of choice in many recipes. It has a lower melting point than butter, so while it works well in bars and brownies and cookies, I haven’t seen it used as much in cakes. And for those of you who care, it’s vegan and paleo and a lauric acid, which may or may not be good for you, but is probably not any worse for you than other oils/butters/fats. The important part (to me) is that it’s delicious—coconut oil adds a nice hint of vanilla-y coconutty flavor to whatever you’re making. The dough looked dangerously shiny and potentially not quite right, and as I put them in the oven, I was concerned that the bars would turn into some sort of sticky disaster. But nope! They turned out perfect! And came out of the pan so easily—ready to be packed up and taken to a picnic. For the curd: In a small saucepan over medium-low heat, whisk the eggs, sugar, and lemon juice until blended. Cook, stirring constantly (to prevent it from curdling), until the mixture becomes thick (like sour cream or a hollandaise sauce). This will take approximately10 minutes. Cut the butter into small pieces and whisk into the mixture until the butter has melted. Add the lemon zest and let cool. The lemon curd will continue to thicken as it cools. Cover immediately with plastic wrap (so a skin doesn't form) and refrigerate for up to a week. This recipe yields approximately 2 cups of curd, so you will have some leftover (yay you win!). 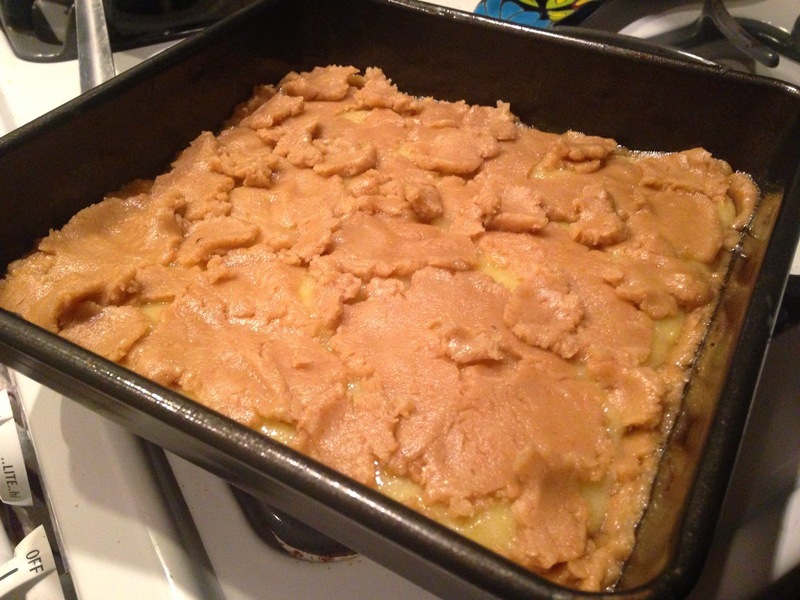 For the bars: Preheat oven to 350 degrees F. Grease an 8- or 9-inch square baking dish with cooking spray. Set aside. In a medium bowl, cream coconut oil and sugars until light and fluffy, about 2-3 minutes. Add the egg, vanilla extract, and coconut extract. Mix well. Mix in the flours, salt, and baking powder until combined. 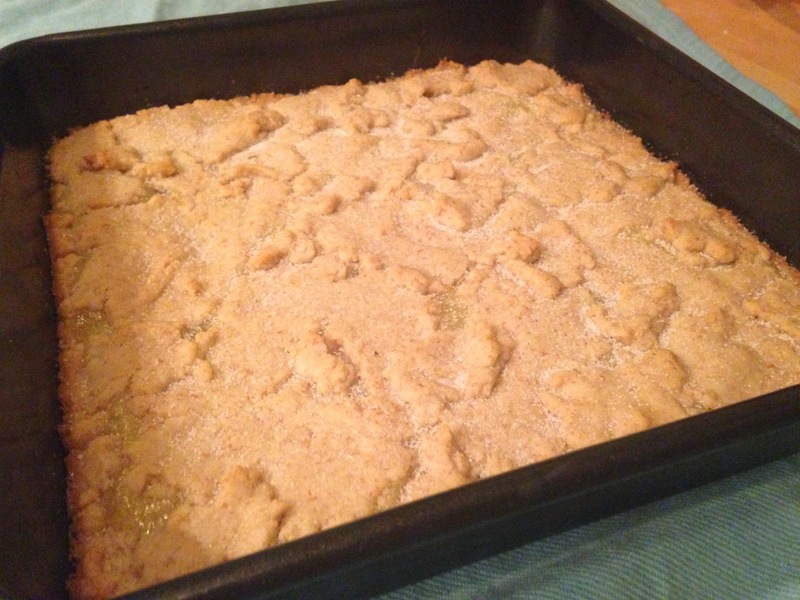 Gently press ¾ of the dough into bottom of prepared baking dish. 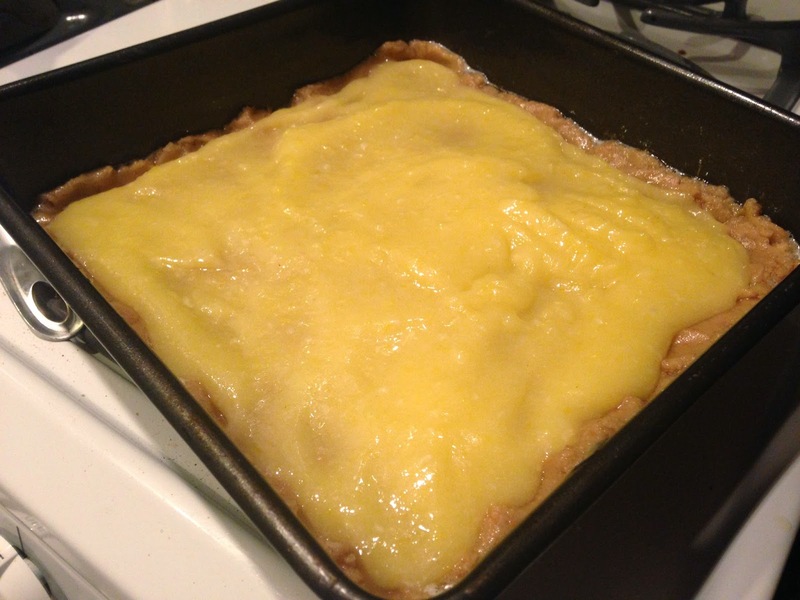 Evenly spread approximately one cup of the lemon curd over dough. Use your hands to flatten pieces of remaining dough and spread it over the top, almost covering all the curd. Bake for 25 to 30 minutes or until the top is golden brown. Cool completely and cut into squares. 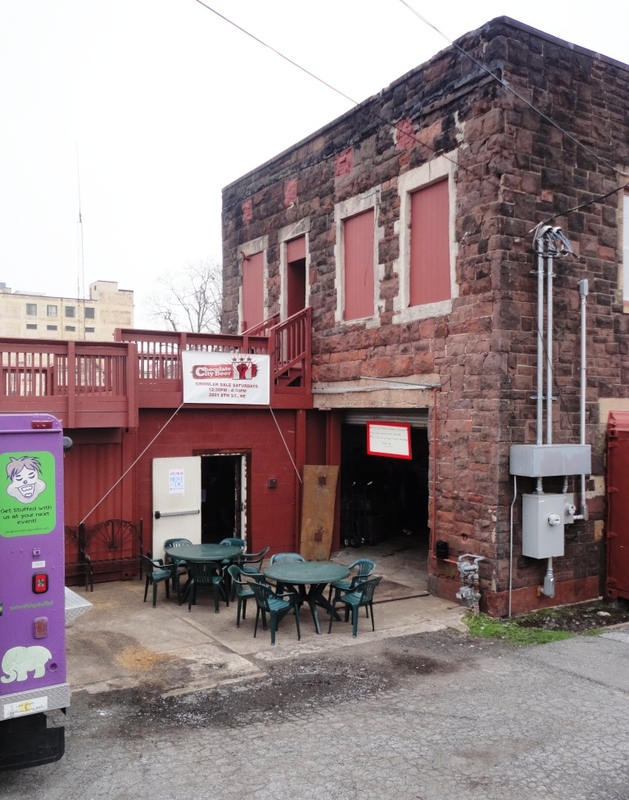 DC's breweries -- Chocolate City, DC Brau, and Atlas to name a few -- are all realatively new and all in super obscure locations, as breweries tend to be. So clearly the best way to hit them all in one day is by bicycle! 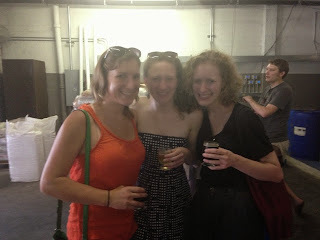 This genius tour de beer was devised by SpeedyKate, and it is a must if you're in DC and enjoy beer and biking and fun. Liz, SpeedyKate, B-Riel, me (duh), Hannah, and Caroline at DC Brau. After borrowing a friend's bike for the day (mobility! It's glorious! ), I met SpeedyKate at noon on Saturday. That may sound like an aggressively early time to start touring breweries, but between biking and beer tasting the whole experience took allllll afternoon and I'm really glad we started when we did. Also, most tasting rooms close at 4pm, so plan accordingly. Joining us on this venture were a couple of my grad school friends, plus one of my friends from college. Sidenote: Though I can see some of you raising eyebrows (drinking and biking Mollie?!? Is that really a good idea? ), it's actually very little drinking. Since most breweries (except Atlas) only offer tiny tasting sizes, we probably each drank a total of three beers over the course of five hours. See? Safe. Anywho, the 11.7-mile route was devised by SpeedyKate (and questionably navigated by myself). We started in Colombia Heights because that's where we live, and biked three miles to Chocolate City in Brookland, then about five miles on to DC Brau (north of the Arboretum). We then headed about a mile south to Atlas Brew Works, which is just a few doors away from New Columbia Distillers (aka Green Hat Gin). Green Hat was closed by the time we got there, so we'll have to try again another time. Also, our original plan (see route here) had us ending at Bardo, a beer garden in Trinidad, but we decided to forgo that stop in exchange for ice cream at Union Market. Always a good idea. This bike ride is by no means scenic. It covers parts of the city I only vaguely knew existed and traverses some busy roads and a few strip malls and warehouse areas. But though the ride is not exactly nice, it really is the best/only way to get to these places. And it's fun! So about the breweries. Chocolate City was the first and most low key. We just showed up and walked into what looked like a small warehouse/garage and a woman at a table offered us tastings of three beers. I wasn't especially wowed by any of them, but it was a nice way to start. 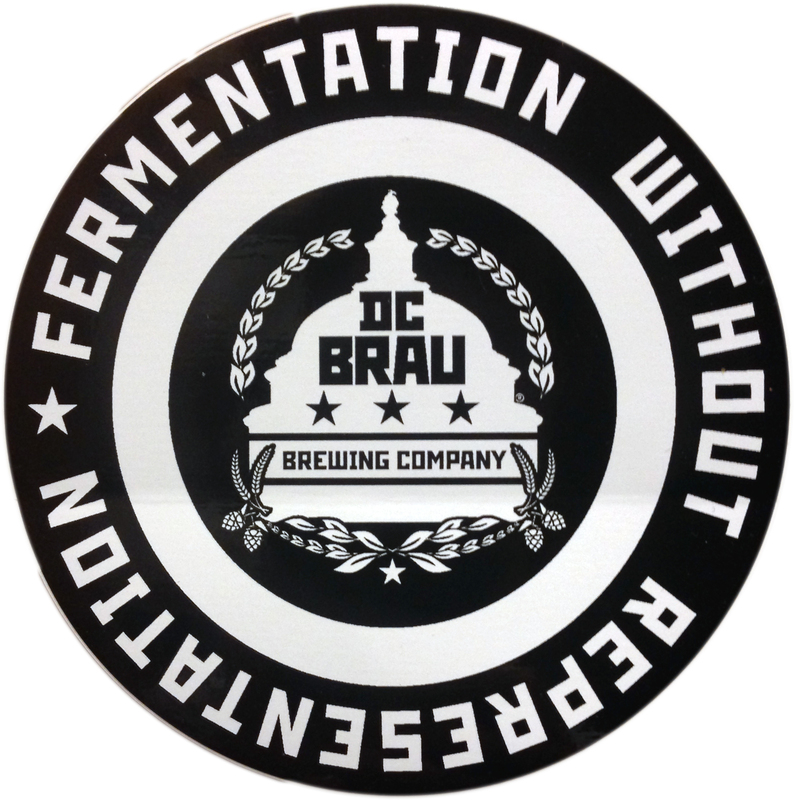 Next was DC Brau, probably the most well known of the three. I feel like their standard The Public Pale Ale is just a generally solid beer but nothing special. But in addition to that, for tasting they had El Hefe Speaks, a really delicious hefeweizen, and also an imperial IPA called On the Wings of Armageddon. When you walk into DC Brau they give you four drink tickets to use for tasting, and the tasting sizes are about 4oz each, so that's pretty great. Also they have an excellent local pride logo. Our last, and my favorite, stop was Atlas Brew Works. It's a brewery but also has a bar, and just this weekend started serving pints. Hallelujah there was a food truck outside, so we shared some fries and proceeded to taste. The bad news is that the tastings are not free, but the good news is that for $7 you get four tastings and one half-pint and it is ten thousand kinds of worth it! Their beer was unique and really good -- my favorites were the Rowdy, a rye beer, and NSFW, a double black IPA yummmmm. Atlas is a pretty big space and has tables and corn hole and a few (nowhere near enough) fans. And for future reference, I'm pretty sure you can get their beers at Nats games. The beer portion of our tour ended there around five o'clock, then we made our way to Union Market because Trickling Springs Creamery! We sat in the air conditioning enjoying our ice creams, basically the perfect end to a perfect tour. Then of course we had to bike ourselves home. What a great day! Race Plans in September -- Reach the Beach! Running this summer has been a struggle, partially because I'm trying to get back in shape (always an uphill battle), but mostly due to mid-Atlantic summertime heat and humidity. This now my 6th summer in DC, so I've come to expect this weather, but that doesn't mean I like it. But I'm sticking to rule #1 of exercise, which is that if you keep doing it, it will get better. And I need it to get better because my first race since ummmm (I can't even remember the last time I raced...oh wait Rock 'n' Roll USA Marathon in March 2013) is a 200-mile relay. 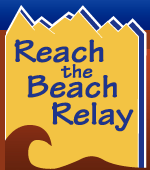 Myself and 23 other crazies are fielding two teams for Reach the Beach in New Hampshire in September. This will be my fifth road relay, and third overnight relay. (You can read about all the madness: River to Sea 2010, River to Sea 2011, Ragnar Relay 2012, and American Odyssey 2013.) Basically I love any and all opportunities to turn running into a team sport. Get ridiculously sweaty in a van with 12 people and not sleep for 24 hours and run a total of 19 miles? Absolutely I am in! We have not officially distributed our legs yet, but I'm probably going to run one of the longer sets -- I believe total distances in this relay range from 12ish to 22ish. For those of you not familiar with these relays, each team of 12 has two vans, everyone runs three times, and the legs vary in distance and difficulty. It sounds like torture, but trust me it's so fun! Who doesn't love a little bonding through shared adversity? So how do you prepare for this kind of race? No one really knows. My plan is to continue building up mileage, interspersed with weekly hill repeats and 3-mile tempo runs. I did my longest run to date (10 miles) on Saturday, and my plan is to build up, increasing 1 mile per week, to at least a 15-miler by the end of August. And one of the best parts about so many of us signing up for this race is that I now have more running friends than before -- friends who kind of ran sometimes are now training (sometimes with me) and it is great. I always love more people to run with! And that my friends is the full extent of my Fall Race Schedule as of now. If all goes well with training I'd like to find a few shorter races around Boston though. Maybe in October when the weather is nice. Maybe on trails (loooove trail races). That alliteration pretty well sums up every weekend and most weeknights since I've been in DC. While many of my classmates jetsetted off this summer to intern/work/research literally all over the world (Nigeria and Nepal, Dubai and Dominican Republic, Geneva and Guatemala, and Kosovo and Egypt and Tunisia, just to name a few locales), a critical contingent converged on DC and it is so much fun all the time all the time! This weekend is an excellent example of this (uniquely?) Fletcher phenomenon. Friday night, after a long week of researching and writing and interviewing and editing, I started my weekend with a bit of Bikram yoga (oof, but it’s getting better!). Then a quick shower and not so quick 90 Bus ride later I met three friends at Union Market for the first drive-in movie of the summer. Forgetting Sarah Marshal was projected on the side of the huge building and people drove in and watched from their cars in the parking lot, or, like us, walked in and sat on blankets or beach chairs. There were drinks and snacks and the weather was perfect – the best way to spend a chill Friday evening outside. Next week is Life Aquatic, so I think the plan is to go back. We didn’t stay out too late, which was great because I started Saturday with a late-morning long run on the trails of Rock Creek Park. I have a race in the not-too-distant future, so 10 miles was a necessary (and not as bad as it could have been) experience. On Saturday afternoon 8 of us made our way down to Bluejacket Brewery (so good!) and then went to the Nats game. The weather was perfect for baseball—not sweaty! Aka magic!—and the Nats won against the Brewers with 8 runs. The socializing really never ends and so of course by Sunday we were still going, capping off the weekend with a bluegrass concert at Hill Country. Mipso is this bluegrass band from UNC and they’re so cute and really good! They’re on tour so you should go see them (if you’re in Boston they’re at Johnny D’s this week). Some of my friends are almost done with their internships and about to leave (Callie don’t go!!! ), but one just arrived (welcome Pat! ), and at least a few of us are staying in DC to the end. So if you need me until then, I will be eating Ethiopian food and fro yo and going to concerts and enjoying rooftops and barbecues until September! This book was exceptionally beautiful but also oof not an easy read on the emotional front. Country of My Skull by Antjie Krog is the kind of book that challenges you, makes you think, and leaves you feeling drained at the end. Which is about what I expected, considering it’s about the Truth and Reconciliation Commission in South Africa in the 1990s. The frame for the story is the experience of a white South African journalist covering the trials, but it’s focused on the series of vignettes of actual testimonies. It’s about forgiveness and reconciliation, humanity and evil, and a country trying to build itself through the public exposure of pain and suffering. And everyone wants to know: Who? Why? The victims ask the hardest of all the questions: How is it possible that the person I loved so much lit no spark of humanity in you? It’s arranged loosely chronologically by themes: Before the Commission, First Hearings, Politics, Reactions, and Unwinding. The most interesting parts to me were the actual testimonies – I think there’s a bit of voyeurism going on because reading someone else’s pain is painful but also captivating. And I also was really struck by some of the identity issues Antjie addressed and how a country as a whole can unify and forgive and rebuild after something as horrific as apartheid. A myth is a unit of imagination that makes it possible for a human being to accommodate two worlds. It reconciles the contradictions of these two worlds in a workable fashion and holds open the way between them. I was less into the section on politics, as I felt that sometimes she went into too much detail. Though I think it was written assuming of basic knowledge of the events and people covered – knowledge I don’t really have. Had I been familiar with the politicians and leaders, those parts would probably have been more interesting. The writing is really beautiful though (I took pictures to save a number of quotes on my morning bus rides – i.e., “The texts grow next to one another in the vapor of freshly mowed language”), and she has clearly thought long and hard about these difficult issues. This isn’t a book to offer solutions, just to depict how one woman, and at the same time the whole country, is processing the Truth and Reconciliation experience. I definitely recommend Country of My Skull; however I suggest you read it concurrently with something lighter because this isn’t casual reading. It’s not dense – the prose reads very well and flows quickly and effortlessly – it’s just heavy subjects, difficult thoughts. The word “reconciliation,” on the other hand, is my daily bread. Compromise, accommodate, provide, make space for. Understand. Tolerate. Emphasize. Endure…Without it, no relationship, no work, no progress, is possible. Yes. Piece by piece we die into reconciliation. What a 4th of July weekend! I feel like I’ve been going non-stop since leaving work Thursday afternoon in all the best ways possible – friends and running and barbecuing and fireworks-watching and roof-decking and beach-lounging and ice cream eating. 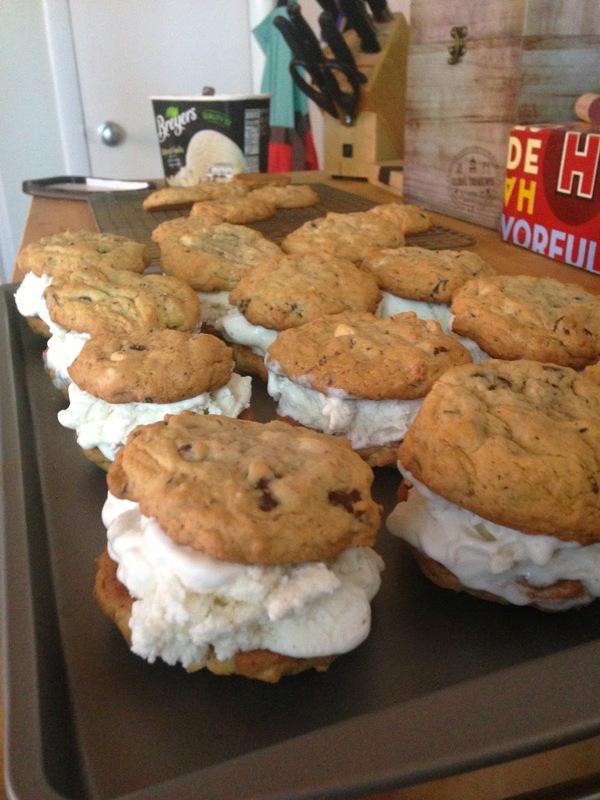 Ever since the temps got above 85 degrees I’ve been craving ice cream sandwiches. Not those kinda soggy rectangular chocolate cookie kind (though they have their time and place), but the real deal – soft and delicious chocolate chip cookies completely stuffed with vanilla ice cream. (Preferably consumed on a beach or a dock or on the front deck immediately after returning from one of those places, bathing suit slightly damp and sand still sticking to my feet.) Mmmmmm yes. So what better occasion to make them happen than the 4th of July?!? The 4th itself did not involve a beach for me this year (though the 5th did!) 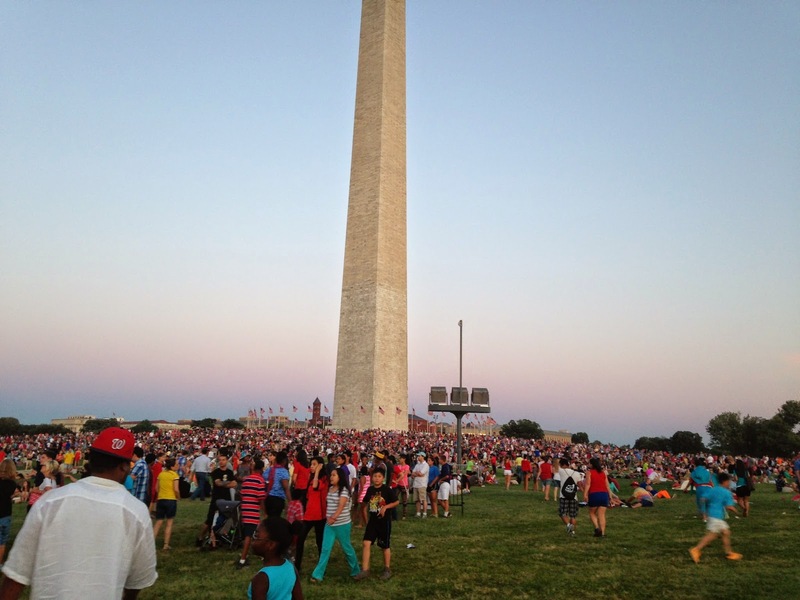 – I am in DC after all and there are epic National Mall fireworks to be seen and heard and felt. Gustavo came down from NYC yayayay! But long before heading down to join the crowds around the Monument, I did some post-run, pre-barbecue baking to get the day started right. I made these 4th of July morning before carefully carefully transporting them to a barbecue, where they were later inhaled by the lucky few who knew about them in the freezer. I heard (and can infer based on the cookie dough I consumed in the baking process) that they were delicious. And so easy! 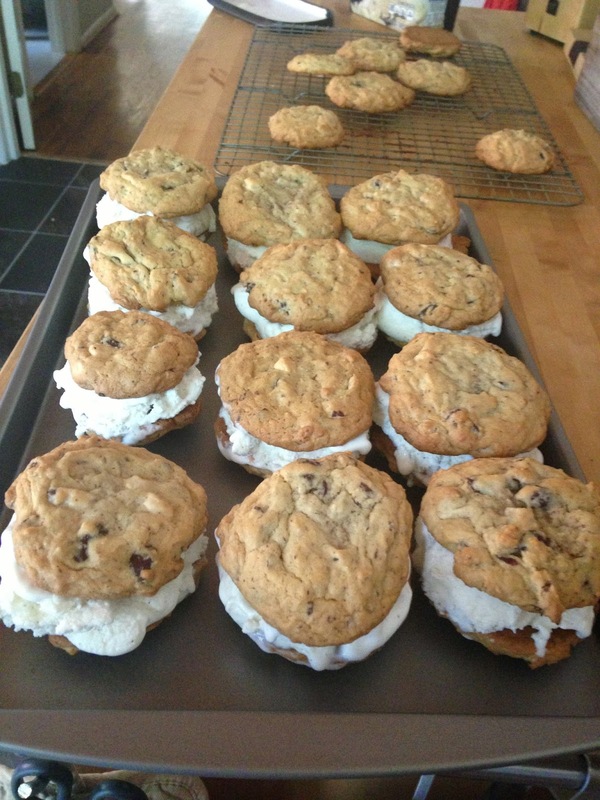 I am definitely making these Dark/White Chocolate Chip Cookie Ice Cream Sandwiches again. Maybe tonight. If you want to get super-fancy you can make homemade ice cream, but that takes more time, so I just bought mine. Any flavor you want works, though I recommend sticking to something simple (i.e. vanilla) to not overwhelm the cookie. Beat the butter and sugar until smooth, then mix in eggs and vanilla. Stir in dry ingredients until almost combined, then add the chocolate chips, then finish mixing. Use two spoons to scoop cookie dough onto a cookie sheet (approximately 2-tablespoon sided scoops). Bake for approximately 9 minutes. Immediately remove from baking sheet to cool on a wire rack. Cool cookies on wire racks for approximately 30 minutes, then put them in the freezer (I just put the whole rack in the freezer) for approximately 20 minutes. If you try fill them with ice cream when they’re still warm it will become a melty mess. Match up your cookies into 2’s of around the same size. 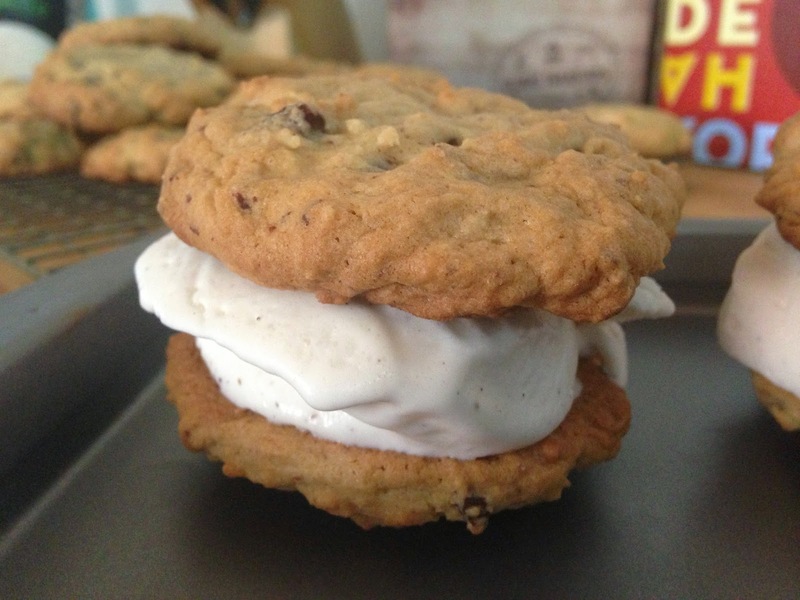 Scoop ice cream onto one cookie, press the other on top, and done! 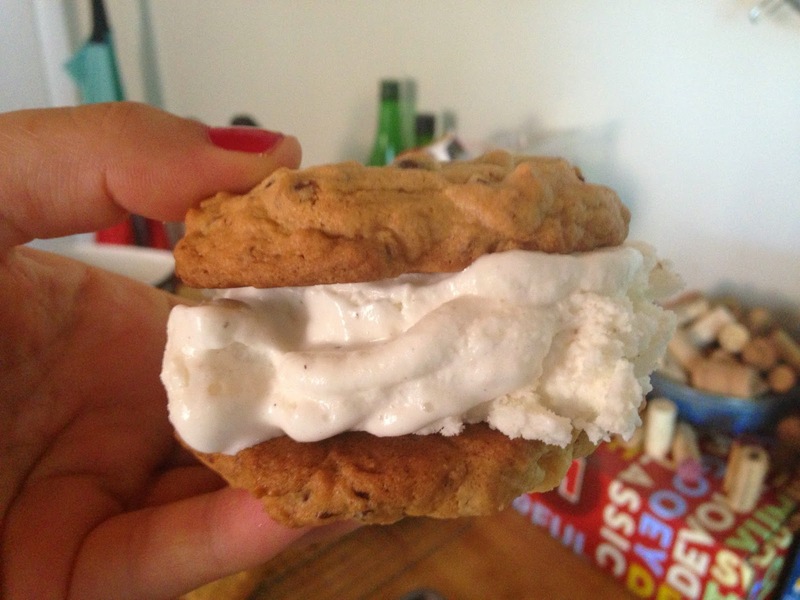 Ice cream sandwich! Put the sandwiches back in the freezer for at least 30 minutes (the longer the better) before transporting. I just carried them on a cookie tray covered in foil, but you could also wrap them individually in plastic wrap.